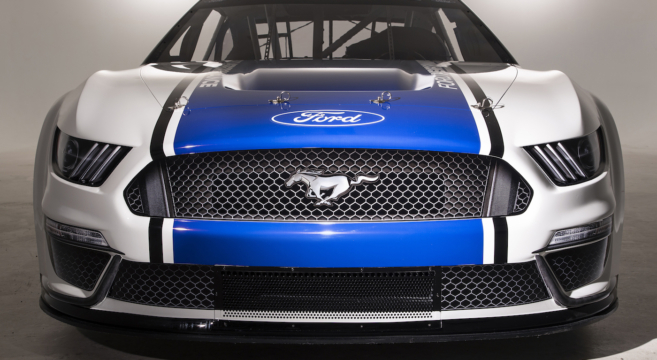 Ford just pulled off the covers of the new NASCAR Mustang that will compete in the Monster Energy NASCAR Cup Series in 2019. The unveiling took place at the Dearborn World Headquarters to mark the first time ever that Mustang will compete in America’s most popular form of racing, the brainchild of the Ford Design and Ford Performance teams who worked carefully to translate Mustang’s signature style to meet NASCAR rules, ensuring Mustang will look as great on the oval as it does on the street. Check out the unveiling of the Ford NASCAR Mustang for the Monster Energy NASCAR Cup Series for 2019.